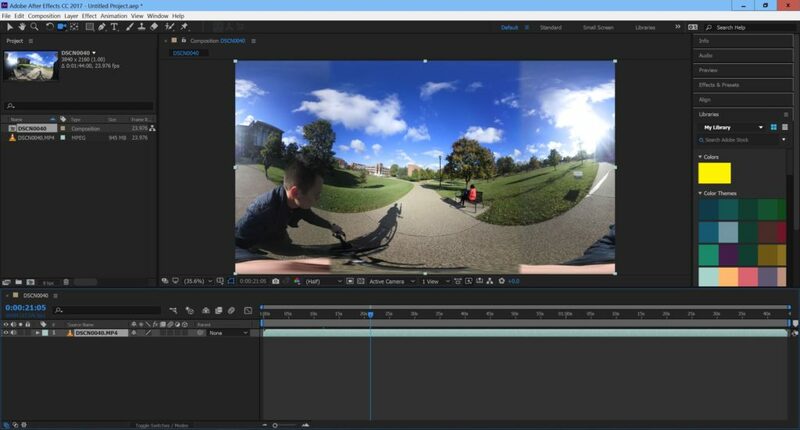 Below are beginner step-by-step instructions for how to edit together 360˚ VR clips. This is just my personal workflow and if you find a more efficient way to accomplish something please let me or David know! 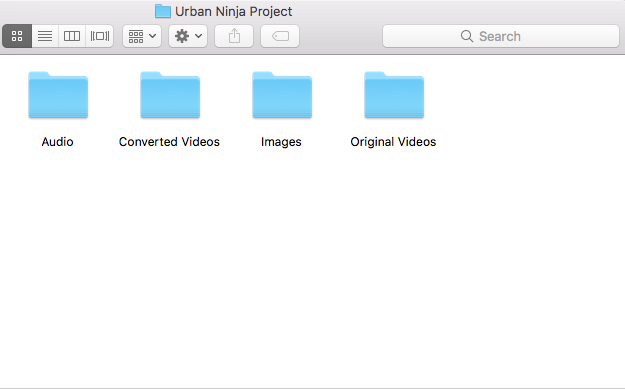 Organization- make sure all your files are in nice little folders just in case you ever have to go back and make a blog post about how you made a video. Hypothetically. 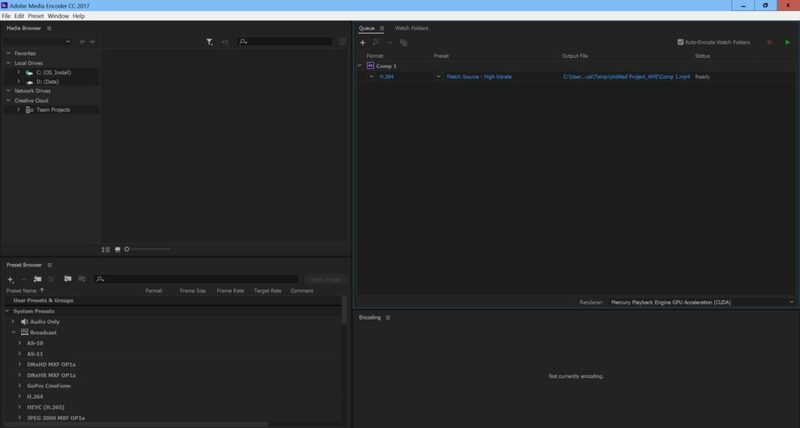 Open Project- Name your project appropriately and save it with your other footage. 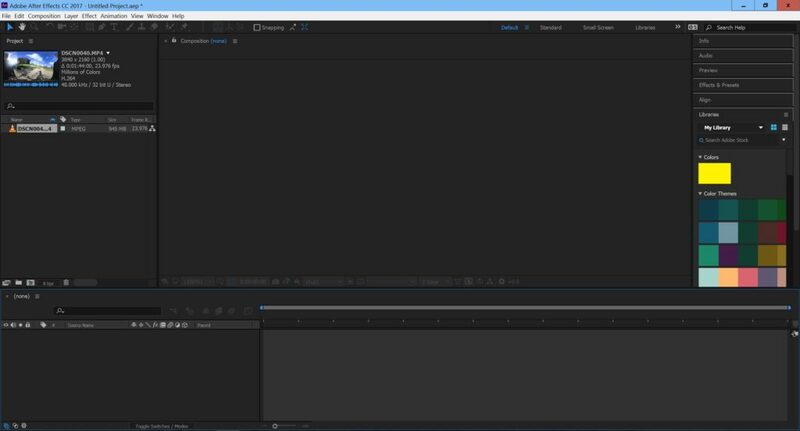 Import all of your elements into the project. Drop a video into the timeline to create a sequence. 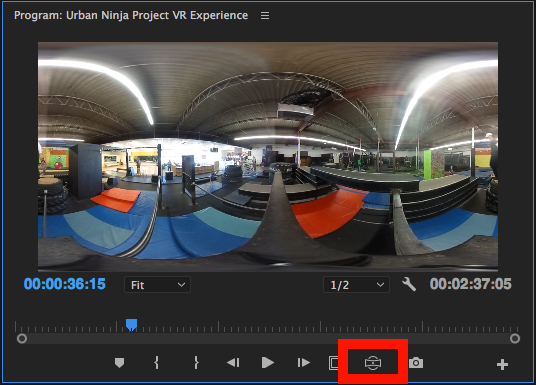 Make sure the VR button is available and the sequence recognizes that the videos are in 360. To add the VR viewer to your cache of buttons, in the program window, click the “plus” in the bottom right corner. Find the VR button and drag and drop it into the line of other buttons. Click ok. Now you can view your video in 360˚ by clicking the button and dragging your mouse in the window. Get your clips in order- Don’t worry about eye placement right now. Just put your clips in order and trim the parts you don’t need. It is okay to use cuts in VR, but remember to use all transitions appropriately. Crossfades might be more appropriate. (This is also the narrative/creative structure part. Make sure your video flows well and is entertaining the entire time. Length is crucial with VR. 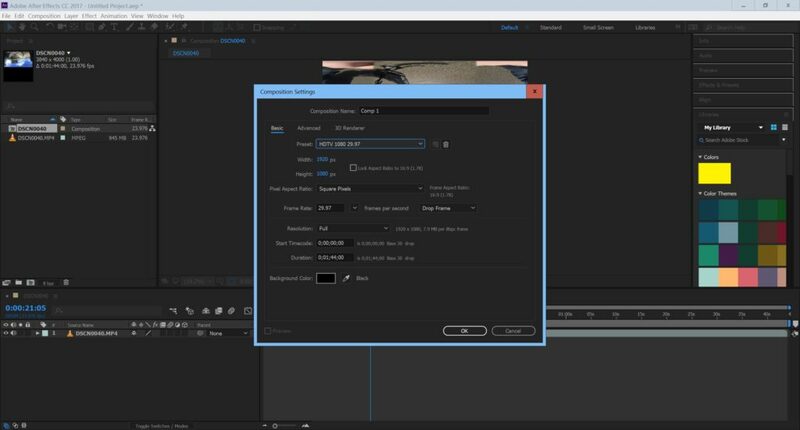 I heard this once: “Make it as short as you think it should be, then make it shorter.” This just ensures that your video is efficient and entertaining the entire time, with nothing but the essential and best components. BUT: It is your video. You know it better than anyone. Do what you feel works best.) *COOL TIP* Give a good five seconds at the beginning of your video to give your audience enough time to hit play and put on their VR headset (maybe put in a graphic so viewers know the video is playing). Starting Eye Position of Clips- Now it is time to position your clips so that the viewer starts out looking at what you want them to look at and they don’t have to look around to find the subject. 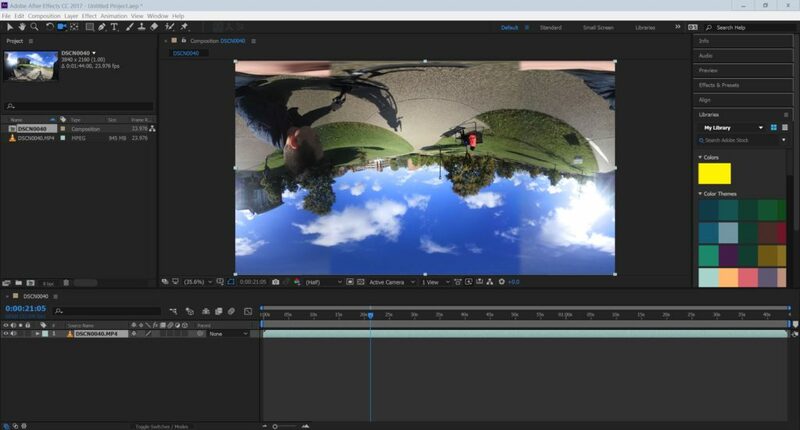 This is done by using the “offset” effect in Premiere Pro. For this, you will want to have the VR viewer button toggled on pretty much the entire time. Double click in the VR window to reset the default starting position to 0.0˚, 0.0˚. This is what your viewers will see when they start the video. 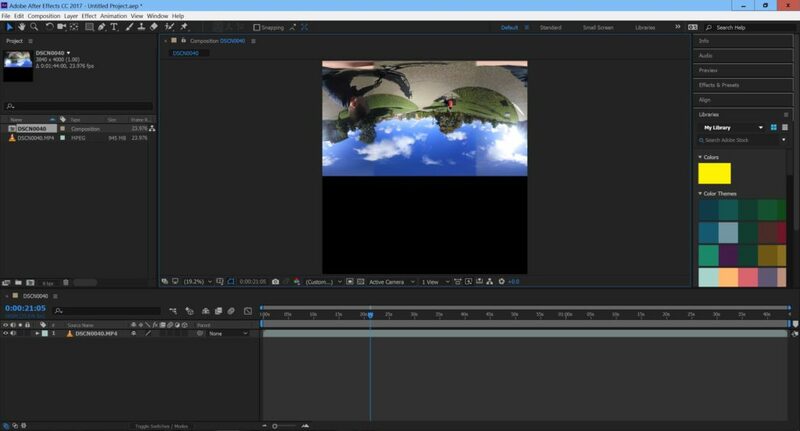 Find the effect by either searching for it or going to video effects-> distort-> offset. 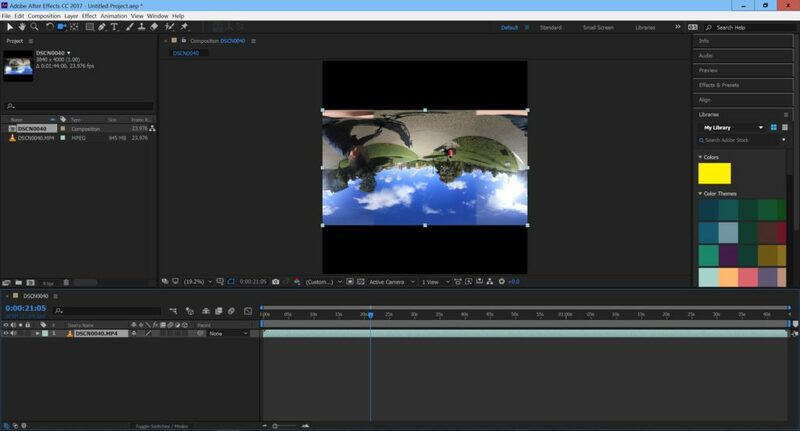 Drag and drop the Offset effect onto the clip, and go into the effects controls window. 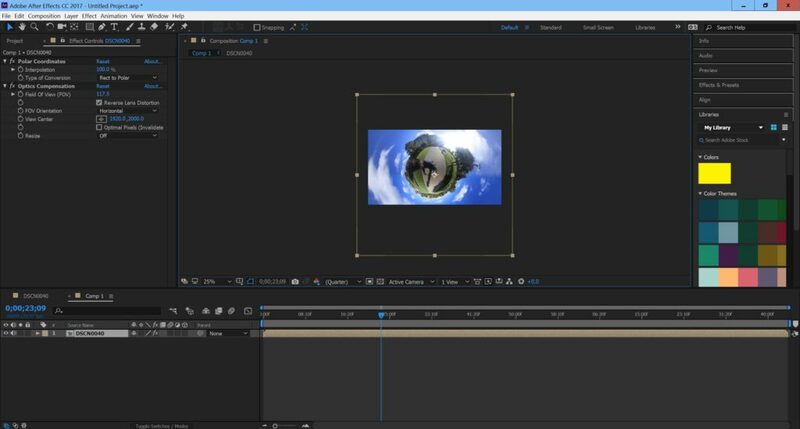 Drag the value or enter a number to adjust what the starting viewpoint is in the video. You can change the Y (up/down, vertical) value, but it distorts the image the higher the number is. I would recommend just adjusting the horizontal X value. 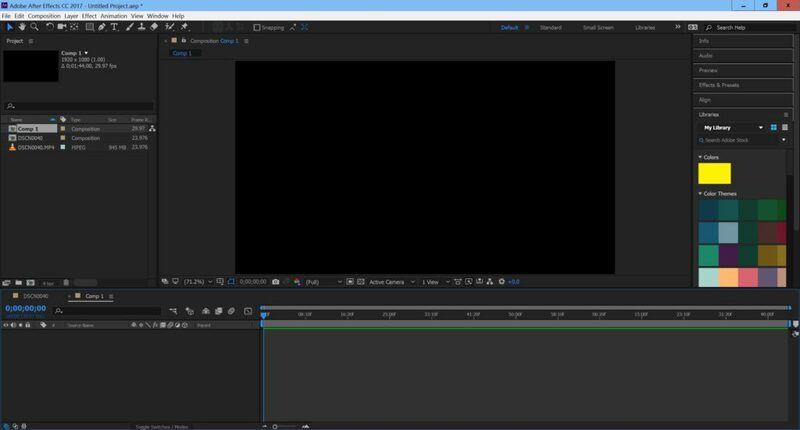 Ending/Starting View Transitions- Now that the starting position is set, you want to move on to the transition from the first clip to the second. Here’s what I mean: in this example, the viewer would follow Solomon across the rings to the other side. So at the end of the clip, the viewer is looking in the opposite direction they were when the clip started. Now, I want the subject of the next clip to be where we ended the first clip, so the viewer doesn’t have to go looking for it. To do this, use your arrow keys to go to the last frame of the first clip. Now move over to the first frame of the second clip. Change the offset value until the new subject is in the center of the VR window screen. *NOTE*- Do not double click to reset the angle degrees. This will put it back to default view, which is not where the viewer is looking at the end of the clip. 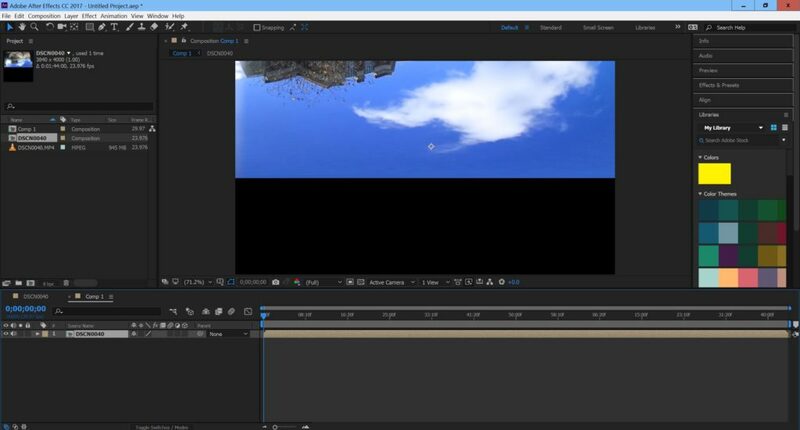 Continue doing this for all the clip transitions to keep a smooth flow of viewing. This also throws off the bearings of the viewer, so when the video is over they have no idea where they are in physical space. This is often a characteristic of a good VR video. Text- To use text in a VR video, you can go and purchase a $300 plugin that bubbles the text to make it look flat in 3D space. Or you can just do it yourself. It doesn’t work as well, but it’s definitely free. Create a title and put in the words you want it to say. With the VR window disabled, drop the title on top of the clip you want it to be on. For best results, keep the text in the center or close to the center. It becomes increasingly distorted the lower down or higher up you put it in the video. Resize the text to make it smaller than you think it should be. In a VR video, It zooms in on the part that the viewer is currently looking at. Toggle on the VR viewer and see how it looks. A good rule to follow is to make sure that the whole title fits in the VR window so the viewer doesn’t have to swing their head side to side to read what it says. In effects, go to video effects-> distort-> lens distortion or search for it in the search bar. Drag and drop this effect onto the title. Increase the value until the words look flat (with the VR window toggled on). I have found that I almost always have to turn it up to 100. The same principal applies to pictures. 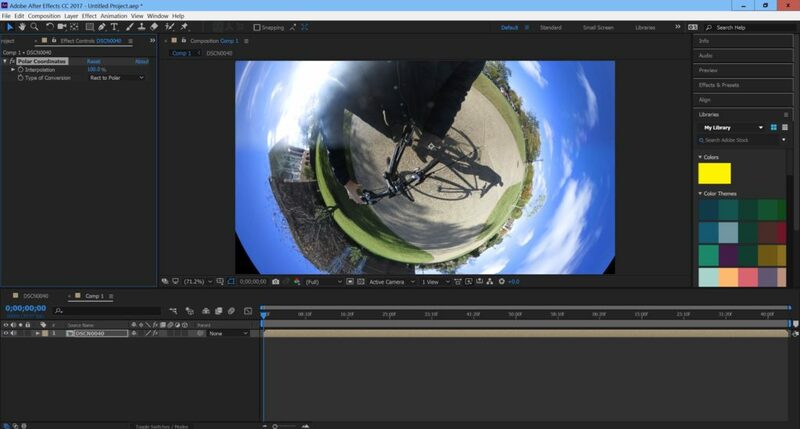 Export- To export your 360 video, just treat it like a normal video. 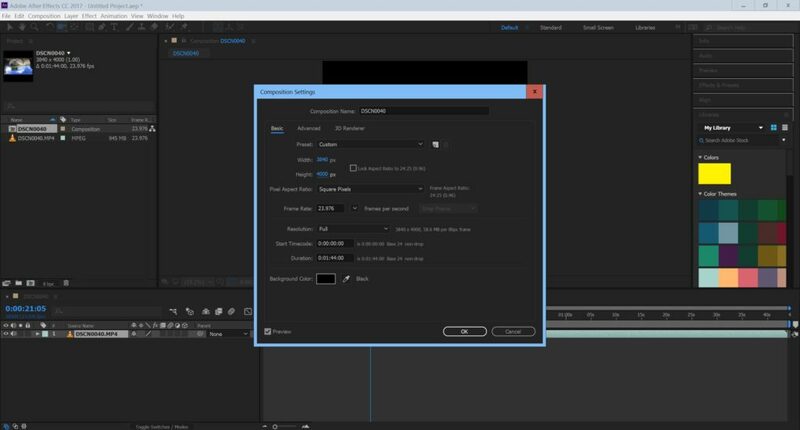 You can either export in Premiere or Media encoder. I usually just use Premiere. With the sequence window outlined blue, press Ctrl/Cmd M or File-> export-> media to bring up the export window. Click on the blue file name to rename your video and choose where you want it to export. Click ok, and in the Video tab about halfway down, scroll all the way down. There should be a checkbox that says “Video is VR”. This should already be checked, but check it if it is not. Now just click Export! Upload to YouTube- Treat it just like a regular video. The checkbox from step 7 puts metadata into the video that tells YouTube that the video is in VR, so it already knows how to display it properly. Once it is uploaded, you can view it in the mobile YouTube app as 360. And now your masterpiece is published! Link to it on Facebook, make your blog post, and share it with the world.